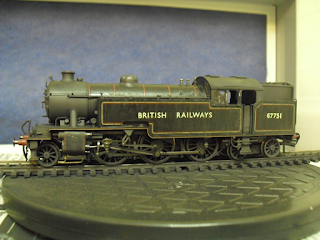 THE BRITISH RAILWAY STORIES LTD: "Hornby Thompson L1 Musings"
I love Hornby's Thompson L1. They are simply superb models. I have four of them, with three out of the four currently awaiting renumbering and rebranding. 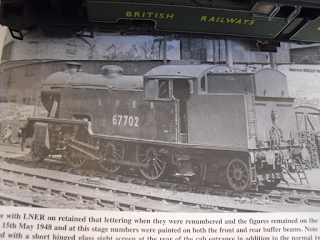 One of those awaiting rebranding is no.67717, which is an apple green variant, which has BRITISH RAILWAYS in bold on the tanksides, and the curly style numeral six in its number. I was researching potential subjects when I came across this delightful combination in the L1 edition of Yeadon's Register. The locomotive has LNER apple green livery, with LNER lettering, but the full British Railways numbering, and with a curly six to boot! 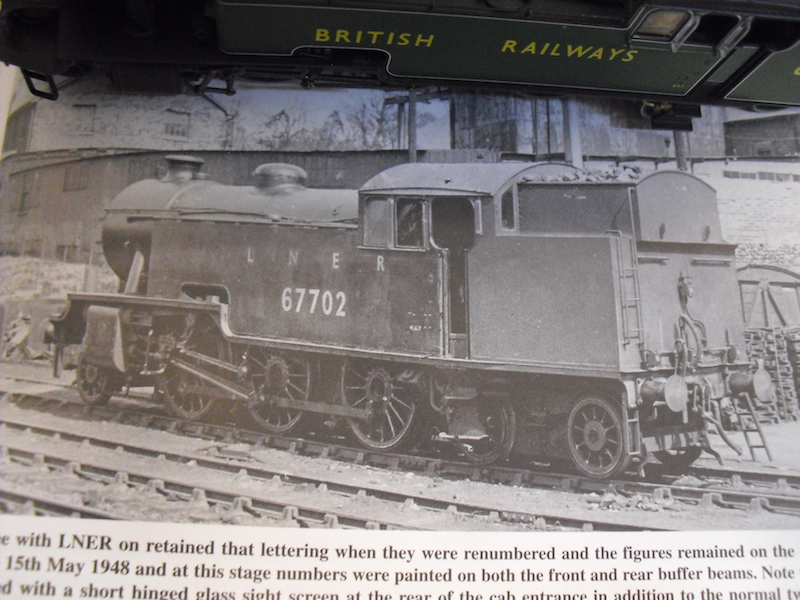 I am very tempted to model this locomotive, partly because with careful removal of the numerals and lettering, it's not actually going to be that difficult a conversion. 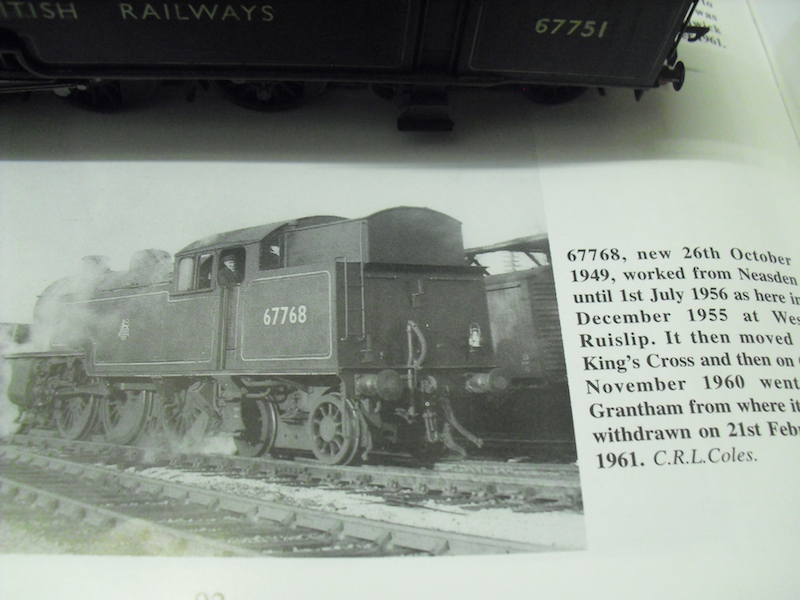 My only question is: did it have a smokebox numberplate at this point in time or not? Another of life's little research headaches! 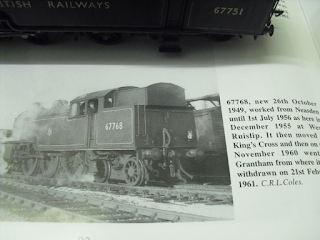 No matter, for it's quite clear at a glance that up to 1950 there were still apple green L1s sans the smokebox numberplate. 67702 may well have been one of those few locomotives so treated. 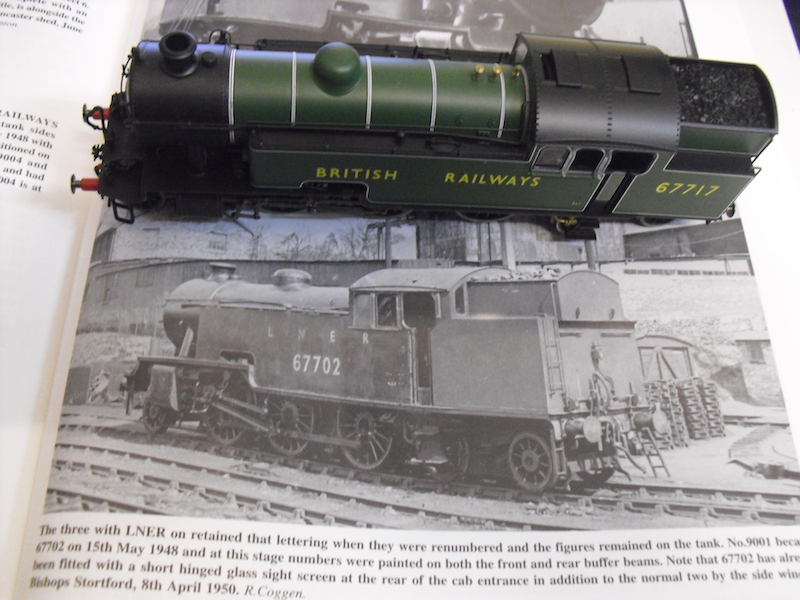 Then of course, you have to take into account electric lighting fitted, and non electric lighting fitted locomotives! Until next time, when I hope to be continuing the work on a certain Thompson Pacific...!